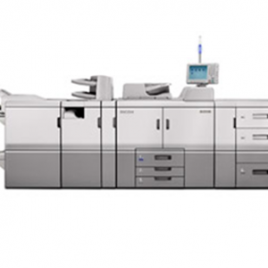 The Ricoh Pro C9100 can integrate into a hybrid workflow and delivers greater flexibility, superb print quality and higher productivity with faster turnaround performance. 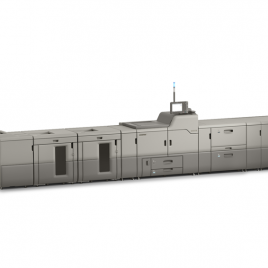 It sits alongside existing offset technology to provide variable data and greater media handling capability. This makes high volume jobs cost effective and highly efficient whilst introducing personalisation and customisation options simply not available with offset technology. 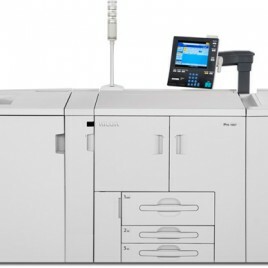 The Ricoh Pro C9110 can integrate into a hybrid workflow and delivers greater flexibility, superb print quality and higher productivity with faster turnaround performance. It sits alongside existing offset technology to provide variable data and greater media handling capability. This makes high volume jobs cost effective and highly efficient whilst introducing personalisation and customisation options simply not available with offset technology.